To support this effort and build public support for sectoral growth, the British employee ownership association commissioned an academic study to outline sector challenges, as well as policy measures to confront those challenges, as Joseph Lampel, a coauthor of the study and University of Manchester business professor, details in Real Business. The report, titled The Ownership Dividend and authored by Lempel and two colleagues from the Cass Business School in London, Ajay Bhalla and Aneesh Banerjee, concludes that “employee ownership can provide the positive responses needed to many of the challenges currently facing the UK economy,” writes Lampel. “The employee-owned sector counts for over £30 billion ($39 billion US) in annual [revenue] across the UK and is growing at a rate of 10 percent a year,” Lampel adds. As in the United States, employee ownership in Britain is seen as a path for preventing the loss of family-owned businesses as owners retire. In Britain, only 42 percent of small and medium-sized businesses have ownership succession plans. In Britain, the report indicates that the family business sector includes 85,000 businesses with £519 billion ($675 billion US) in annual revenues, so there is a lot of potential businesses at stake. “This threat of firms melting away presents serious concerns for the UK’s growth prospects,” note Lampel and his coauthors. “Just as a business requires a talent pipeline to survive, the wider economy needs firms to rise in stature,” the report authors add. In Great Britain, employee ownership is structured differently than in the US. 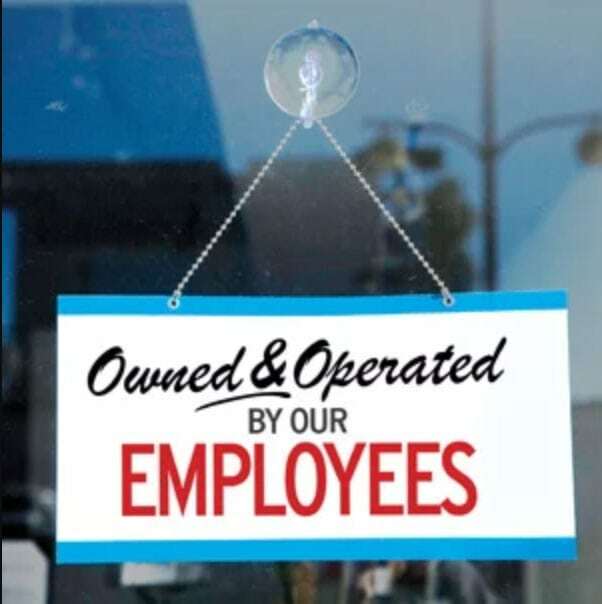 In the US, most employee ownership is via an employee stock ownership plan, or ESOP; today that sector includes nearly 7,000 firms with over 10.5 million employee-owners. Worker co-ops are another form of employee ownership, which is growing rapidly, but from a small base; present estimates suggest 300 firms with about 7,000 member-owners. By contrast, in Britain, only 28 percent of employee-owned firms are similar to ESOPs in that worker ownership occurs through a pension-like “trust” mechanism, while eight percent involve direct employee share ownership (as worker cooperatives have), and 64 percent involve a mix of both features—a hybrid structure that barely exists in the US. In terms of obstacles to growth, the report lays out three major ones: 1) a lack of awareness and understanding of the business ownership form among business advisors, 2) a need to develop sector-specific leadership capacity, and 3) a failure to include education about employee ownership in business schools. In response, the report calls on the “government to invest in ownership capacity building,” as Lampel writes. [W]hile employee-owned businesses are growing, awareness and appreciation of the model is low in the very range of sectors, institutions and professions for which its relevance and value are high. Business owners who are considering succession are rarely aware of an employee ownership sale option. In parallel, the sector’s profile is low within financial services, business education, Westminster [Parliament] and Whitehall [civil service]. Compounding that low profile is a startling absence of any national statistics on the sector’s size, distribution and impact. What’s behind the rise of a more avowedly socialist Labour Party in Great Britain? As in the US, growing economic precarity has led many, especially youth, to be much more open to economic alternatives.